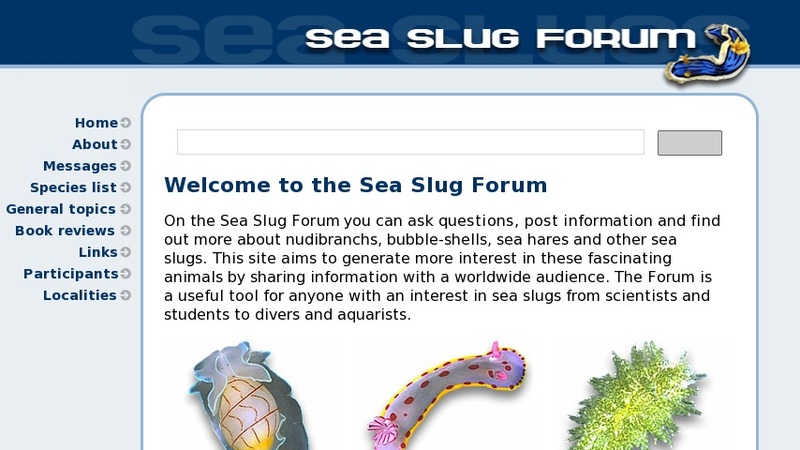 Scientists, students, divers and aquarists can ask questions, post information, look up species profiles, references and links about nudibranchs, bubble-shells, sea hares and other sea slugs worldwide. Messages archived by scientific name; species profiles are presented by family and scientific name, and include classification, distribution, biological information and photo, plus links to messages concerning that species. General topics section covers anatomy, behavior, aquarium suitability, and more. Fairly technical.